It was bound to happen. In fact, it did happen a couple of years back. 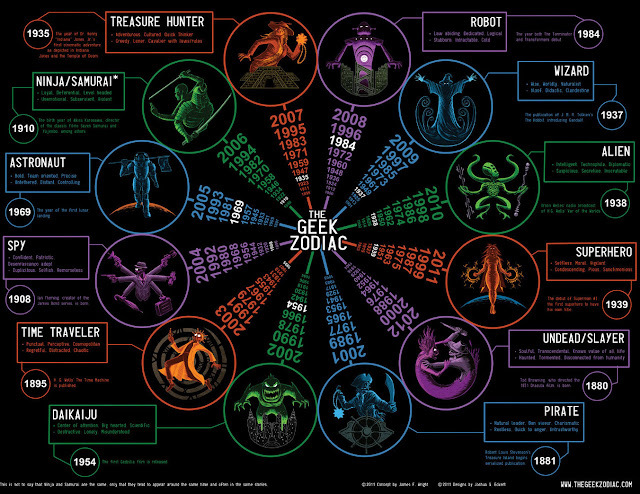 Someone compiled a Geek Zodiac. And it's just as awesome as you would expect it to be. What am I? What are you? Turns out that the Geek Zodiac is pretty impressive in its ability to identify individuals, if I do say so myself. The characteristics aligning with each sign are so-so accurate for our little brood (hubby is a Ninja, and the Dude is a Time-Traveler).